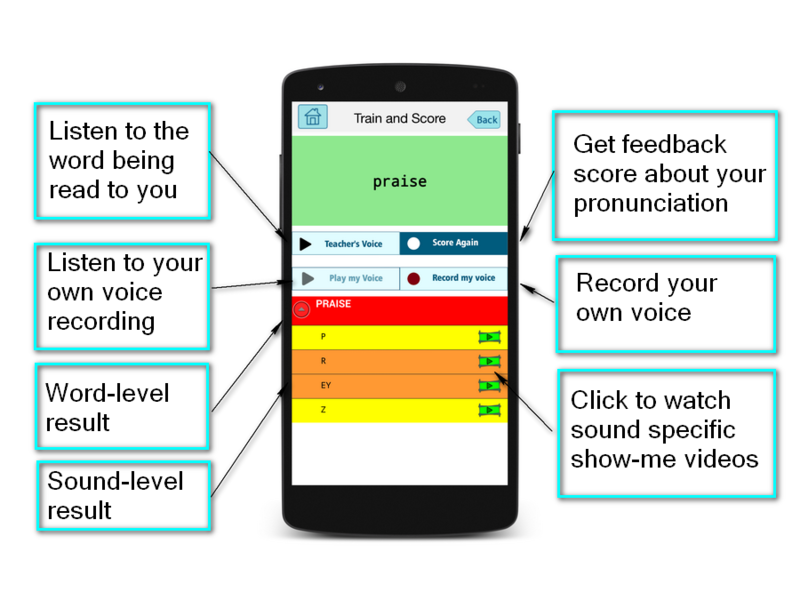 SpeechScore rapidly improves your English pronunciation skills through instant feedback by showing you exactly where you need to make changes in your pronunciation. 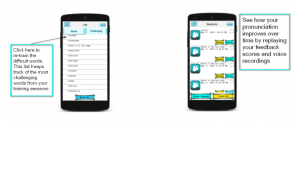 The app shows you in detail what you need to do to get better and instantly tracks your progress. 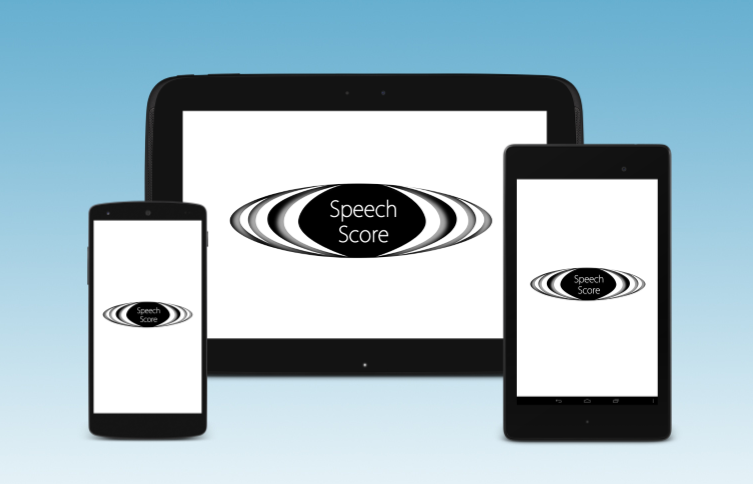 By using artificial intelligence combined with speech recognition and detailed video instructions, SpeechScore offers you an invaluable tool to experience dramatic changes in your pronunciation to help you speak like a native. 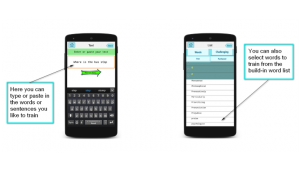 It's like your very own private tutor in the palm of your hands, ready to go where ever you are! • What exactly am I saying wrong? • What specifically do I need to change? • Have I made any progress? 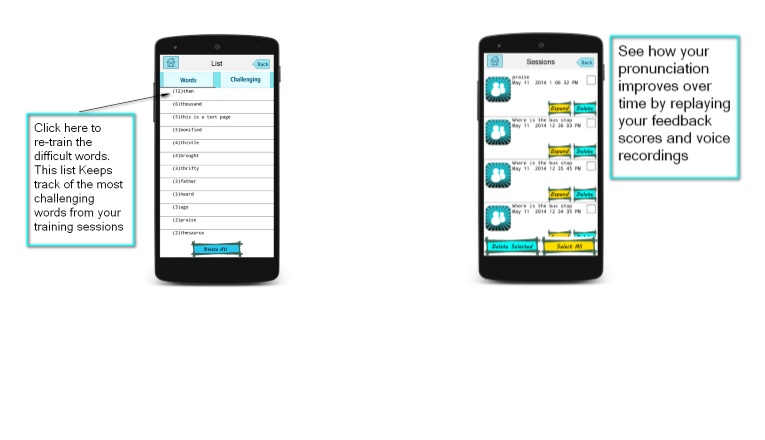 These challenges can all be overcome using our state of the art app. We all know that you have to practice in order to get better. Musicians improve by practicing challenging sections over-and-over until they get it right. This principle applies to pronunciation training as well. By working with SpeechScore you will make rapid improvements by using our one of a kind, easy to use technology. Get started by choosing from a build-in word list or simply type in or paste in the text, which you would like to practice. You can now listen to the correct pronunciation and compare it with your own voice recording. 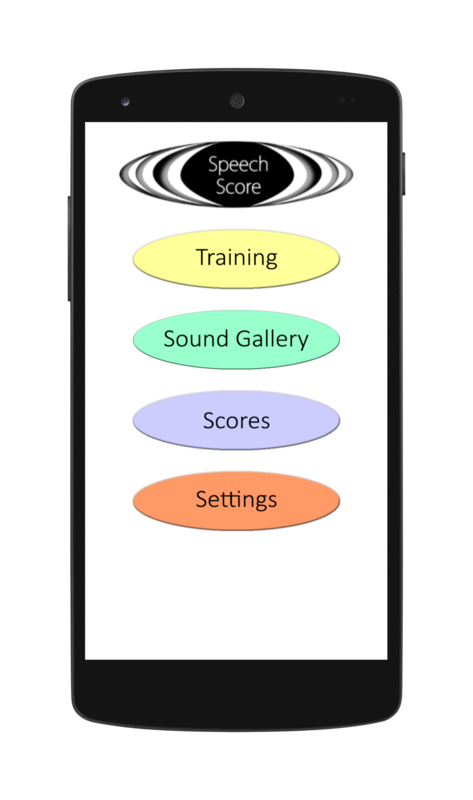 The built-in speech recognition system will give you instant feedback on how well you are pronouncing the word. When you click on the highlighted sound tabs of the incorrectly pronounced word, you have two helpful options. 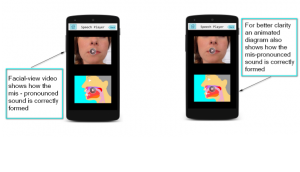 A facial-view video shows you how the sound is being spoken by someone, and an animated diagram of the interior of the mouth shows you how the sound is being formed. It will give you a detailed understanding of how to exactly create the specific sound, so you can easily learn how to pronounce the word correctly. Now you can practice and get an immediate response on your progress. 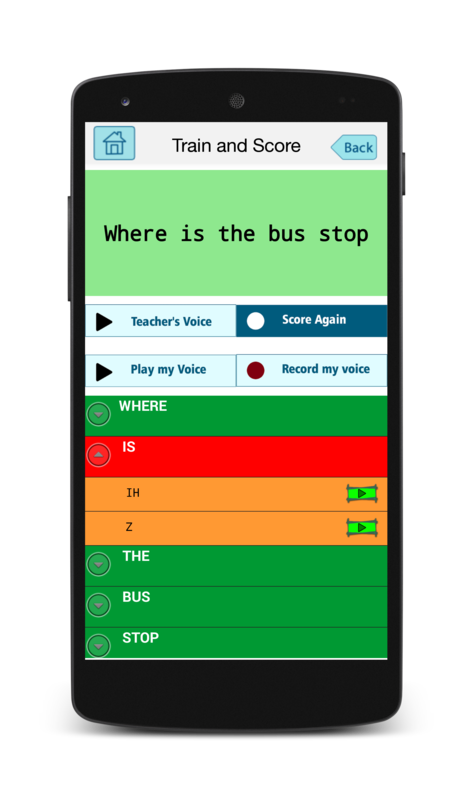 This allows you to say a word, instantly check the score, watch the video, tweak your pronunciation and get feedback right away. This is the most effective and easy way to get better fast. To keep track of your progress you can listen to all of your previous recordings and check your scores in the session history screen. 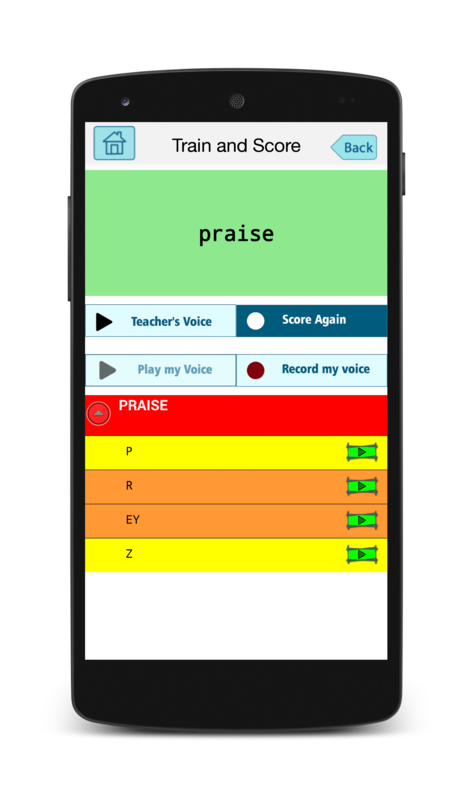 The app also shows you a list of your most mispronounced words for you to practice. The video library gives you access to watch the facial-view videos as well as the animated mouth diagrams for each of the 39 sounds in the English Language. There is simply no better way to quickly improve your pronunciation skills. 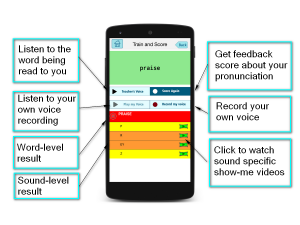 With SpeechScore you have your very own private tutor in the palm of your hands, ready to practice where ever you are! 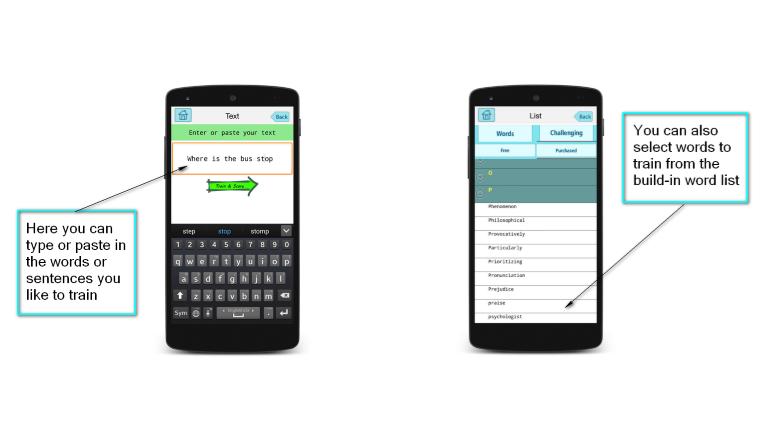 Type or paste in your own text or choose from the build-in word list to select the word or sentence you want to practice.